Cabernet Franc Day is upon us again. Every December 4 we celebrate (and you should if you don’t) this oft neglected and forgotten variety. Yes, we know Cabernet Sauvignon is king, but if that’s all you’re drinking, you are missing out. Most people don’t know that without Cabernet Franc we wouldn’t even have Cabernet Sauvignon. Cabernet Sauvignon is the offspring of Cabernet Franc that resulted when Cabernet Franc had a torrid affair and was crossed with Sauvignon Blanc. And while it’s blended so often with Cabernet Sauvignon and Merlot for those Bordeaux blends that we all love so much, there are places around the world where it stands alone. Chinon (which I love) in France’s Loire Valley is one such example where Cabernet Franc is bottled as a varietal wine as well as the eastern United States, particularly Virginia. I also had some fantastic Cabernet Franc on a recent trip to Croatia. Cabernet Franc is known for its red fruit aromas such as strawberry, raspberry, and cranberry in addition to its very characteristic vegetal bell pepper aromas. It also tends to have a great deal of acidity which makes it quite food friendly and a versatile pairing partner. What I love so much about Cabernet Franc is that it is usually approachable much earlier than a great deal of Cabernet Sauvignon due to its softer tannins. And since patience is not one of my better virtues, it works for me. For this year’s celebration, I thought I’d focus on the Americas and open bottles from both the northern and southern hemispheres. 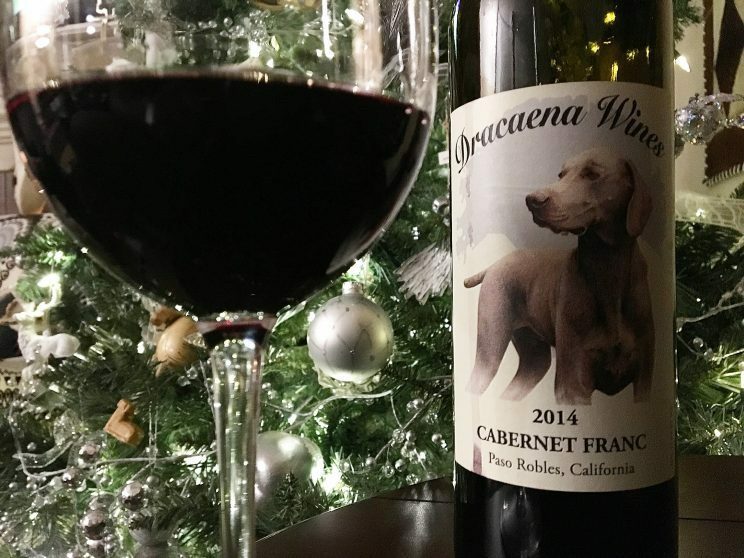 First up was the 2014 Cabernet Franc from Dracaena Wines from Paso Robles, California. As the founders of Cab Franc Day, it only seemed fitting to open one of their wines. And boy, was it a great decision. Owners Lori and Mike have such an awesome story and epitomize pursuing your passion. Like so many of us that are winelovers, they dreamed of owning a winery and decided to go for it and actually open a winery of their own. The couple met when they were both working as scientists at a company in New Jersey and after years of saying “someday” they made it happen. And while I have nothing against investment bankers, doctors, and lawyers (heck I’m one!) their story stands out to me because they weren’t in one of these professions. These were folks that so many of us could relate to. Yes, I’m the one relatable lawyer in the world. Since the weather had turned cool and rainy, I was in the mood for comfort food so I whipped up some braised short ribs and cheese grits. 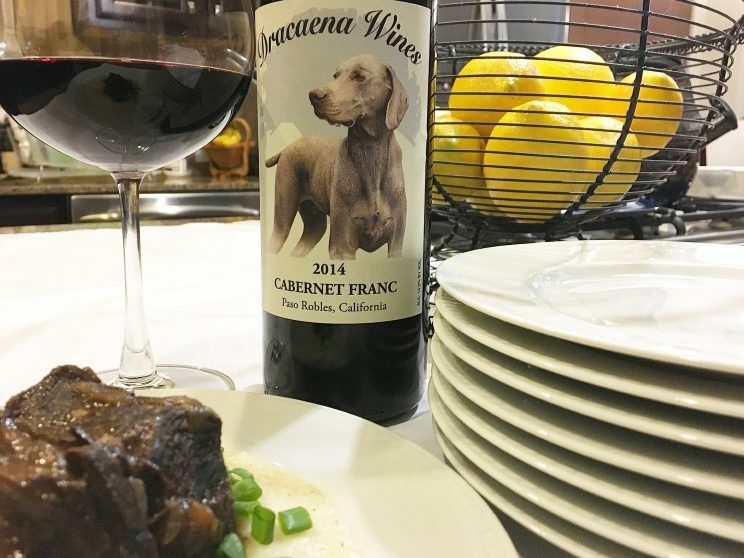 While the short ribs were delicious if I do say so myself, the Dracaena Cab Franc was great. It was a beautiful, inky, deep, dark burgundy color. And I loved the nose on this. It was like sticking my nose in a bowl of berry jam with a side of plum. Tasting it revealed flavors of plum, raisin, and some baking spices. Then we picked up some vanilla and chocolate as well. I was totally fine drinking this on its own but also liked it with the short ribs. I imagine I would love it even more with pork. This was just so approachable and easy drinking – everything I like about Cabernet Franc. I’m just glad I bought multiple bottles. Next up was the 2012 Catena “Appellation San Carlos” Cabernet Franc from Mendoza, Argentina. 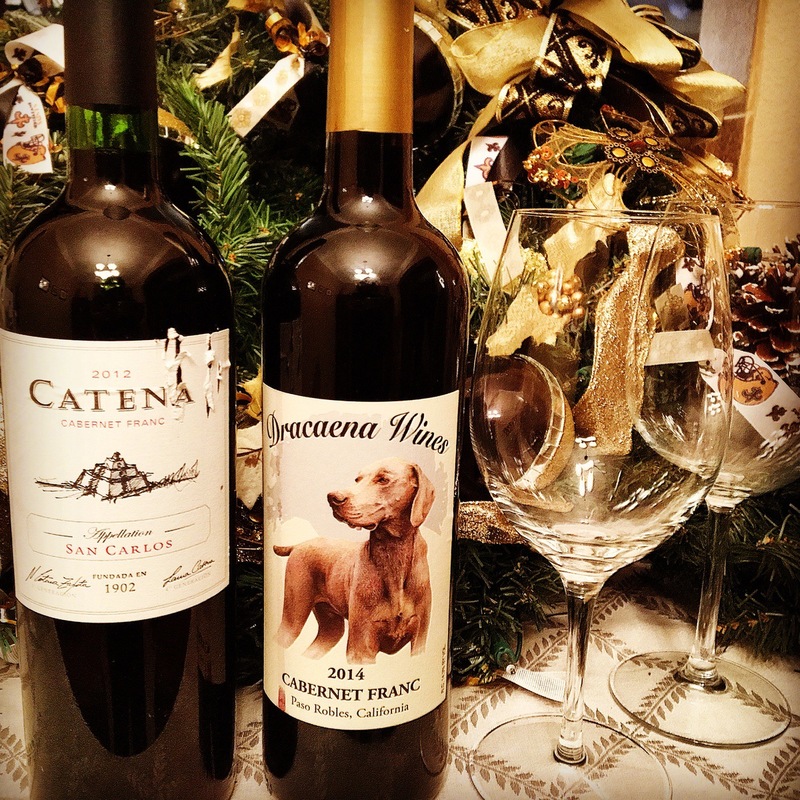 Bodega Catena Zapata is one of Argentina’s wine pioneers especially as it relates to Malbec. 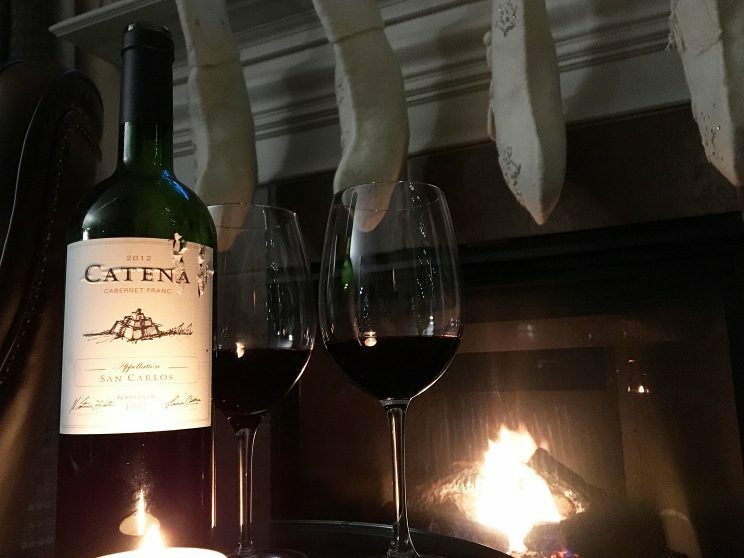 The Catena family began making wine in 1902 and it was Nicolas Catena, a third generation family winemaker, that was the first Argentine to export a major, world-class Malbec to the rest of the world. And while I do love their Malbec, this was my first time to try a bottling of their Cabernet Franc. This one was very different from the Dracaena wine. It was was much more earthy with aromas of pencil lead and cool damp earth with faint citrus and herbs. The fruit on this one was much more restrained than the first wine though it was there under the surface. On the palate this one offered up tart and dark fruit and lots of bright acidity. Food wine for sure. As it opened up more, more raspberry and blackberry flavors emerged. Of the two, I liked this one better with the short ribs but either one of them worked. 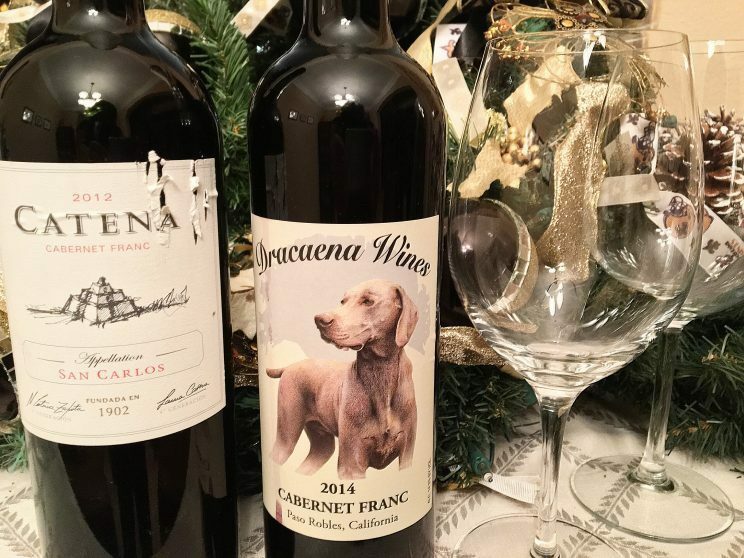 So the next time you find yourself picking out a bottle of Cabernet Sauvignon, move down the aisle a bit a grab yourself a Cabernet Franc instead. You will not be sorry. Thank you so much for the post! We appreciate your support and are so happy you enjoyed our wine. Lori, it’s so easy to support good wine!